Residents have been forced to raise their houses or build protective seawalls or be forced to abandon their homes when their floors become awash. to the volcanic Mt Urganan and Mt Muria/Medak. Environmental changes in Semarang have been blamed by scientists on anthropogenic and “natural” factors such as tidal and river flooding – known locally as rob, mangroves destruction since the 1990s, fast urban growth and extensive groundwater extraction. This has been compounded by climate change with frequent and extreme storms. It has been a pattern familiar in many other low-lying coastal areas in Indonesia, such as the capital Jakarta and second-largest city Surabaya. 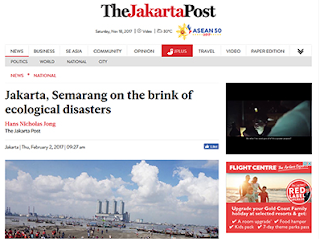 In February, The Jakarta Post reported that both Jakarta and Semarang faced environmental crises. Citing Indonesian Institute of Science (LIPI) researcher Henny Warsilah, a graduate of Paris I-Sorbonne University in France, who measured the resilience of three coastal cities – Jakarta, Semarang and Surabaya – the Post noted only Surabaya had built sufficient environmental and social resilience to face natural disasters. Jakarta and Semarang, Warsilah said, “were not doing very well”. 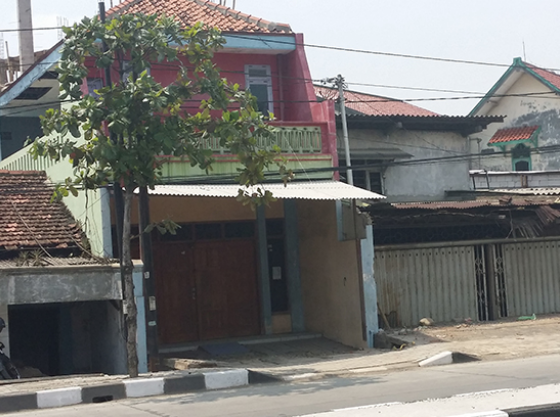 Although Surabaya was faring much better with its urban policies. The fate of some five million people living in Indonesia’s at risk coastal areas – including Semarang — was also profiled in the Indonesian edition of National Geographic magazine last month under the banner headline “Takdir Sang Pesisis” – “The destiny of the coast”. 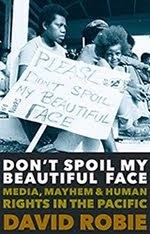 The introduction asked: “”The disappearance of the mangrove belt now haunts seaside residents. According to The Jakarta Post, Semarang “has ongoing reclamation projects in the northern part of the city, which threaten to submerge entire neighbourhoods in the next 20 years”. With a team of international geologists and researchers attached to Semarang’s Center for Disaster Mitigation and Coastal Rehabilitation Studies (CoREM) at Diponegoro University, I had the opportunity to visit Timbulsloko village earlier this month to see the growing “crisis” first hand. City planners might see the only option as the residents being forced to leave for higher ground, but there appear to be no plans in place for this. In any case, local people defiantly say they want to stay and will adapt to the sinking conditions. 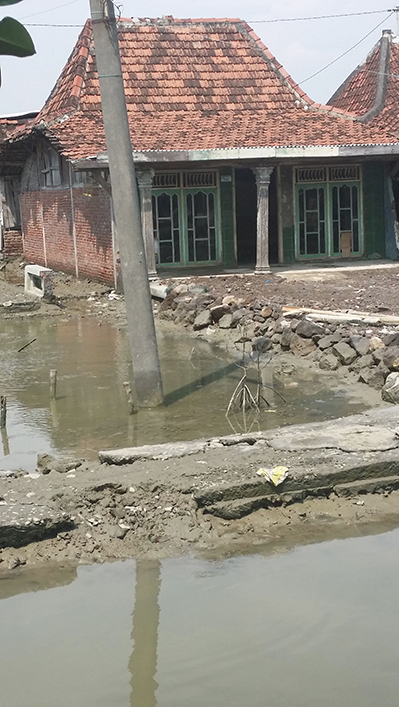 One woman, a local shopkeeper, who has a three-generations household in the village with water encroaching into her home at most high tides, says she won’t leave with a broad smile. I talked to her through an interpreter (CESASS director Dr Herman Indah Wahyuni) as she sat with her mother and youngest daughter on a roadside bamboo shelter. 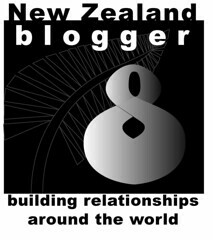 “I have lived here for a long time, and I am very happy with the situation. My husband has his work here as a fisherman,” she said. A local storekeeper with her mother and youngest daughter – three generations live in her Timbulsloko village home. 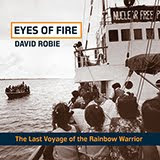 Video: David Robie’s Café Pacific. She also said there was no clear viable alternative for the people of the village – there was no plan by the local authorities for relocation. Later, she showed me inside her house and how far the water flooded across the floors. Electrical items, such as a television, had to be placed on raised furniture. The children slept on high beds, and the adults clambered onto cupboards to get some rest. The village has a school, community centre, a mosque and a church – most of these with a sufficiently high foundation to be above the seawater. However, the salination means that crops and vegetables cannot grow. The community cemetery is also awash at high tide and there have been reports of eroded graves and sometimes floating bodies to the distress of families. We were warned “don’t touch anything with your hands” as the flooding also causes a health hazard. The situation has attracted a number of research projects in an effort to find solutions to some of the problems, the latest being part of the 2017 World Class Professor (WCP) programme funded by the Indonesian government. Two of the six professors on the University of Gadjah Mada’s WCP programme, in partnership with Diponegoro University, are working with local researchers at CoREM. They are geologists Dr Magaly Koch, from the Centre for Remote Sensing at Boston University, US, and Dr David Menier, associate professor HDR at Université de Bretage-Sud, France, who are partnered with Dr Muhammad Helmi, also a geologist and director of CoREM, and Dr Manoj Mathew. Both Dr Mathew and Dr Menier are of LGO Laboratoire Géosciences Océan. “At the regional scale, the rate of subsidence is related to the geological and geomorphological context. 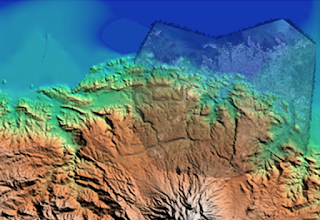 North Java is a coastal plain that is very flat, silty to muddy, influenced by offshore controlling factors (e.g., wave, longshore drifts, tidal currents etc.) and monsoons, and surrounded by volcanoes,” explains Dr Menier. He says that coastal plains are dynamic. However, human activities are fixed – “the first contradiction”. Dr Menier says the subsidence is due to many factors, but some key issues have never been studied. On a long term scale, the active faults of the area need to be examined in a geodynamic context and also volcanic activity with Mt Urganan and Mt Muria/Medak. “We need to have a better understanding of the age of the coastal plain in order to reconstruct the past, explain the present-day and predict the future,” he says. Dr Koch adds: “Subsidence rates and their spatial distribution along the coastal plain need to be studied in detail using InSAR techniques. Mangrove restoration and mitigation has been used successfully to restore coastal resilience and ecosystems in Timbulsloko. The consortium involves Witteveen+Bos, Deltares, EcoShape, Wetlands International, Wageningen University and IMARES. However, community planting is also a strategy deployed in the lowland villages. Mangroves revitalise aquaculture ponds for crab and shrimp farming. A “growing land” technique borrowed from the muddy Wadden Sea in the Netherlands has also been used successfully at Timbulsloko and other villages. Semi-permeable dams are built from bamboo or wooden poles packed with branches to “dampen wave action”. In time, a build up of sediment settles and allows mangroves to grow naturally. “These eco-engineering seawalls are better than the concrete fixed barriers,” says Dr Helmi. Dr David Robie is on the WCP programme with Universitas Gadjah Mada, Yogyakarta.